Packing Laminated. 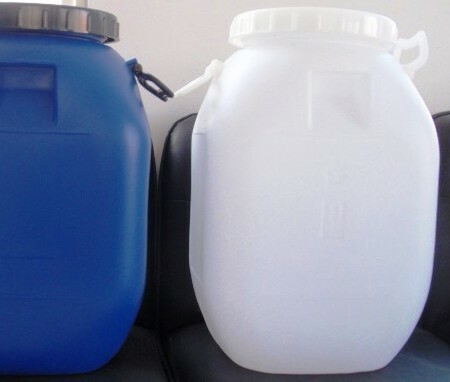 PP/ HDPE Bags with an extra HMHDP liner or in drums or as required by the buyer. Lime, Ca(OH)2 -- 74.09 --- [1305-62-0]. Calcium Hydroxide contains not less than 95.0 percent and not more than 100.5 percent of Ca(OH)2. A: When mixed with from three to four times its weight of water, it forms a smooth magma. The clear, supernatant from the magma is alkaline to litmus. B: Mix 1 g with 20 mL of water, and add sufficient 6 N acetic acid to effect solution: the resulting solution responds to the tests for Calcium. 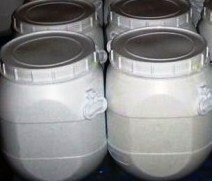 Limit of acid-insoluble substances: Dissolve 2.0 g in 30 mL of 4 N hydrochloric acid, and heat to boiling. Filter the mixture, wash the residue with hot water, and ignite: the weight of the residue does not exceed 10 mg (0.5%). Carbonate: Mix 2 g with 50 mL of water: the addition of an excess of 3 N hydrochloric acid to the mixture does not cause more than a slight effervescence. Heavy metals: Dissolve 2.0 g in 20 mL of 3 N hydrochloric acid, and evaporate on a steam bath to dryness. Dissolve the residue in 20 mL of water, and filter. Dilute the filtrate with water to 40 mL, and to 20 mL of the resulting solution add 1 mL of 0.1 N hydrochloric acid, then add water to make 25 mL: the limit is 20 6g per g.
Limit of magnesium and alkali salts: Dissolve 0.50 g in a mixture of 30 mL of water and 10 mL of 3 N hydrochloric acid, and proceed as directed in the test for Magnesium and alkali salts under Calcium Carbonate, beginning with “heat the solution, and boil for 1 minute.” The weight of the residue does not exceed 12 mg (4.8%). Solubility: Practically insoluble in water. A. To 0.80 g in a mortar, add 10 ml of water R and 0.5 ml of phenolphthalein solution and mix. The suspension turns red. On addition of 17.5 ml of 1 M hydrochloric acid , the suspension becomes colourless without effervescing. The red colour occurs again when the mixture is triturated for 1 min. On addition of a further 6 ml of 1 M hydrochloric acid and triturating, the solution becomes colourless. B. Dissolve about 0.1 g in dilute hydrochloric acid and dilute to 10 ml with water . 5 ml of the solution give reaction of calcium. Matter insoluble in hydrochloric acid: Maximum 0.5 per cent. Carbonates: Maximum 5.0 per cent of CaCO3. Sulphates: Maximum 0.4 per cent. Magnesium and alkali metals: Maximum 4.0 per cent calculated as sulphates. Calcium Hydroxide occurs as a white powder. One gram dissolves in 630 mL of water at 25°, and in 1300 mL of boiling water. It is soluble in glycerin and in a saturated solution of sucrose but insoluble in alcohol. Function: Buffer; neutralizing agent; firming agent. A. Mix a sample with from 3 to 4 times its weight of water. The sample forms a smooth magma. The clear, supernatant liquid from the magma is alkaline to litmus. B. Mix 1 g of sample with 20 mL of water, and add sufficient glacial acetic acid to effect solution. The resulting solution gives positive tests for Calcium. Assay: Not less than 95.0% and not more than 100.5% of Ca(OH)2. 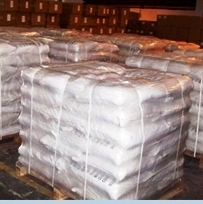 Acid-Insoluble Substances: Not more than 0.5%. Magnesium and Alkali Salts: Not more than 4.8%.